As such, it probably shouldn't be all that surprising to hear that I'm going to buy Wii Fit Plus as soon as it hits store shelves--on Oct. 4--too. The main reason I'm interested in this budget-priced--Nintendo's selling it for just $19.99--release is that it'll allow me to create circuits that include all of my favorite exercises. The fact that Nintendo has added a slew--15, to be exact--of new mini-games doesn't hurt, either. Anyway, the reason I'm going on and on about all of this is that Wootini over at GayGamer.net recently got to spend some quality time with the title and he seemed to enjoy it quite a bit. 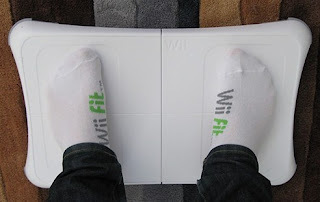 "[Wii Fit Plus] really expands upon the first game, and has found some interesting new ways to use the Balance Board in mini-games," he writes. "It's not an entirely new game, but if you've already got a Balance Board, at $20, it's looking like a decent buy."